A green open space in Bulwell will be celebrating its £100,000 transformation with an official opening. The former landfill site in Hoewood Road has a new lease of life and a new name – Bulwell Community Meadow – thanks to the £100,000 funding from WREN (Waste Recycling Environmental Ltd). 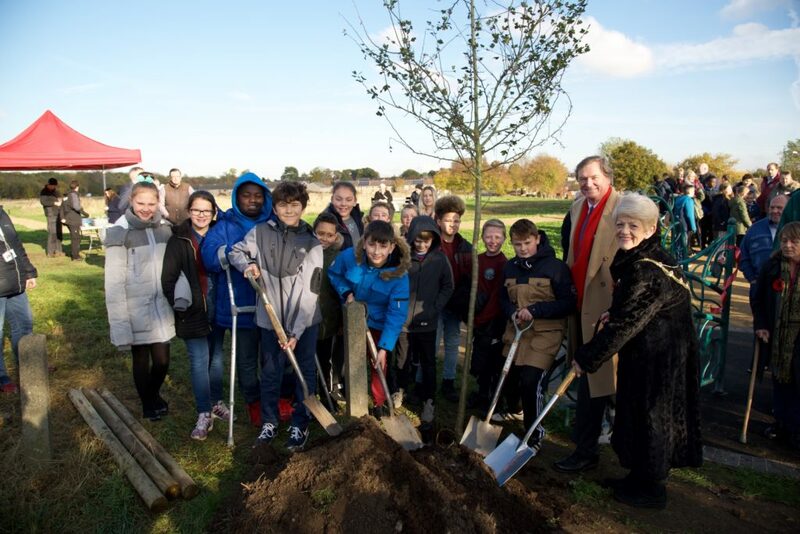 The project has been championed by Graham Allen MP, led by Nottingham City Council and supported by local people, including children at Rufford School. local people helped plant the first three new trees for the site. the project, procured through the EMPA ii (East Midlands Property Alliance) Framework was delivered by Woodhead Improve. Work carried out over the past year to improve the site includes the addition of paths – both formal pathways and softer mown rides – along with a wildflower meadow. Pupils at nearby Rufford School have been working with local artist Chris Campbell to design new seating and entrance features on a wildlife theme, including ladybirds, butterflies and flowers. There’s also a nature trail using natural history designs created by the children.